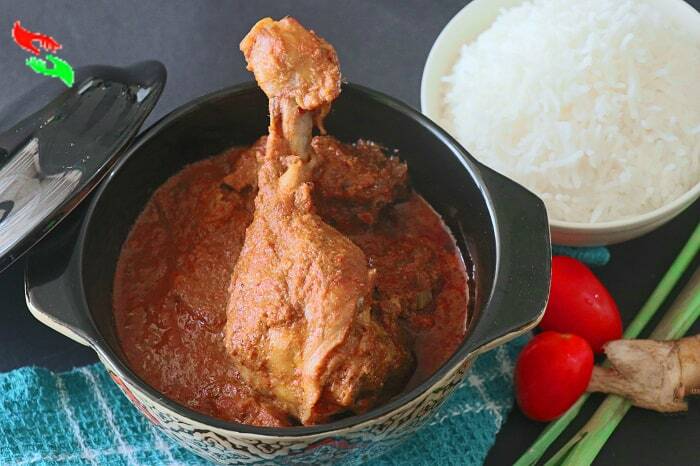 Asian recipe of red curry paste chicken is a very flavourful and spicy recipe from Thailand. Most people who do not really belong to Thailand actually know Thailand for its different curry dish. ” Kaeng Phet Gai”, which means a spicy chicken curry which is The actual name of this Thai red chicken curry recipe. Country Thailand is well-known for its spicy food and flavours. Is this Thai Red curry paste chicken with coconut milk is So spicy to eat? People always think Thai curry chicken is very spicy and hot. But Its really not. Thai red curry paste chicken has very complex flavour. It can be spicy and hot depends on how much hot and spiciness you need on your dish. Most of the time it just looks spicy and hot because of its Red colour. I said its flavours are complex because of this curry paste The flavour of this curry is not similar to a usual curry dish. The strong flavour of Thai ginger galangal and sweet flavour of lemongrass and sweet tastes of coconut milk make the dish awesome. I am making this chicken curry dish with my homemade red curry paste. And Believe me, it will be not so spicy that can burn your mouth. It’s non-spicy and even my five years kid also eat this. This homemade Thai chicken curry authentically tastes and looking exact same as authentic Thai red curry look in the restaurants. How much easy to make This chicken curry dish with Thai Red curry pastes? Thai red curry can be made with chicken, pork, fish even with vegetables with the help of Thai Red curry pastes. Thai curry pastes have so many types like Thai yellow curry pastes, Thai Red curry pastes and Thai Green curry pastes. Red and green Thai curry pastes are the most popular curry pastes among the others. All the ingredients used in every Thai dishes are easily available nowadays in every supermarket and they are not expensive. If you buy a bottled instant Thai curry paste then only it would be expensive. But If you make the curry pastes at your home freshly It will taste much better and will be fit on your budget. So If you want to know my so EASY HOMEMADE THAI RED CURRY PASTE RECIPE can visit the LINK. It is the curry pastes easily to make. why don’t you make this curry pastes in small bach for your Thai dish? Then it will be full of fresh ingredient flavours and free of any preservatives. And would give an authentic Thai taste to your curry dish. 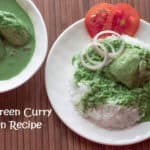 Making a Thai curry dish or any Thai curry pastes are so easy. But if you are a beginner and making the dish it can be difficult to make it. 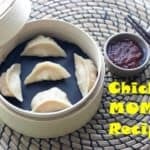 So I am giving you some suggestions which I got from my cooking experience. Hope All suggestions will help you too. Do not use Thai Ginger or “Galangal” too much in your Thai curry pastes as well as any Thai dish. It has a very strong flavour it can overpower the Thai dish. so carefully use this. Always use the end part of lemongrass and if you want to more lemongrass flavour on your any Thai dish just crush the end part of lemongrass with the help of any back side of the knife. And simply adds the Lemongrass part to the cooking pot. But must remove the Lemongrass from the cooking pot before serving the dish. Never use too much salt or sugar. Always taste the dish before adding any salt or sugar. If you are adding coconut milk then limit the use of sugar. Because coconut milk has a natural sweetness. And use salt carefully, cause fish sauce a salty condiment. There is no strict guideline to use shrimp paste in your Thai curry dish. If you do not like this or you do not find this just make the dish without it. It doesn’t make any difference in the tastes of the dish. If you want to make the dish spicy and hot add Thai birds eye chilly to your dish. But if you don’t want a spicy Thai curry dish, add the sweet red paprika powder to your dish for colour. Or you can use any spice less chilli and thick coconut cream to your Thai curry dish. 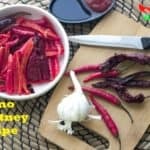 If you are making Red or Yellow curry paste, use any red chilli fresh or in powder form in your choice to make the curry pastes. And if you are making any Thai green curry pastes use any chilli of your choice to the green curry paste making. 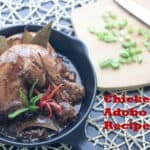 The recipe of Thai red curry paste chicken is a very flavourful and spicy recipe from Thailand. Thai name of the dish is Kaeng Phet Gai. Make the pan very hot. Now put oil in it and very quickly add chicken to it. before adding any other ingredients sear all the chicken pieces.sear the pieces for 1 mins in hot pan.And just very quickly add coconut cream milk into it. Fry the coconut milk and chicken for 2 mins.once you feel coconut milk reduce in half, add Thai red curry paste and mix the paste very well with chicken pieces. Cook for 2 mins in low flame.now add Whole Pea eggplant, Lime leaves, Palm sugar or brown sugar, chopped Descended any red colour chilli, White pepper powder, salt or salt according to your taste, Fish sauce, Fermented shrimp paste(optional). Mix all the ingredients very well and then cover the pan with a lid for 3 mins. After 3 mins uncover the pan and now add 1 cup water into the curry and then again cover the pan with the lid for 10 mins in very low gas flame. After 10 mins uncover the pan and you will sea aromatic Thai red curry chicken is ready to serve. I like this curry eat with steamed rice but if you don't like rice you can serve this with chapati, roti or even with bread loaf.